Because demand is high. Can't imagine why. When Mercedes-Benz first launched the CLA-Class back in 2013, it heavily promoted it as an entry-level luxury sedan that carried a base price of just under $30,000. Good luck trying to find one at that price point, but it was still theoretically possible. And since then, the CLA has become a massive sales success, bringing in plenty of younger and affluent buyers to a brand they previously associated as being too traditional. In fact, Mercedes dealers couldn’t keep CLAs in stock and the wait list quickly grew. And now Mercedes has done what it was likely going to do all along: boost the base price above $30k. Take both inflation and high demand into account. 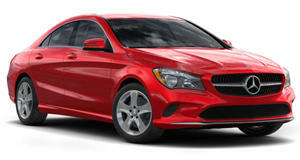 The 2015 CLA 250 will now base at $32,425 including destination. That’s an increase of $1,600. And once the options are added, the price gets larger very quickly. All-wheel-drive costs an extra $2,000, for example. The CLA 45 AMG also has a price increase for 2015, starting at $49,425 - $1,050 more than in 2014. 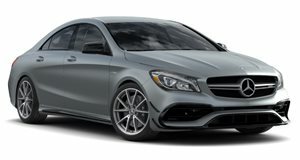 A 2.0-liter four-cylinder with 208 hp and 258 lb-ft remains standard while the CLA 45 AMG has a turbocharged version of that engine, rated at 355 hp and 332 lb-ft. No other design or mechanical updates were announced. Basically the same car as last year only more expensive.